Saint Anthony with the baby Jesus. Measures 3/4" in diameter. Silver-oxidized metal. Made in Italy. On the back: "Saint of miracles, saint of help, saint of lost articles, help me in my present and urgent petition." 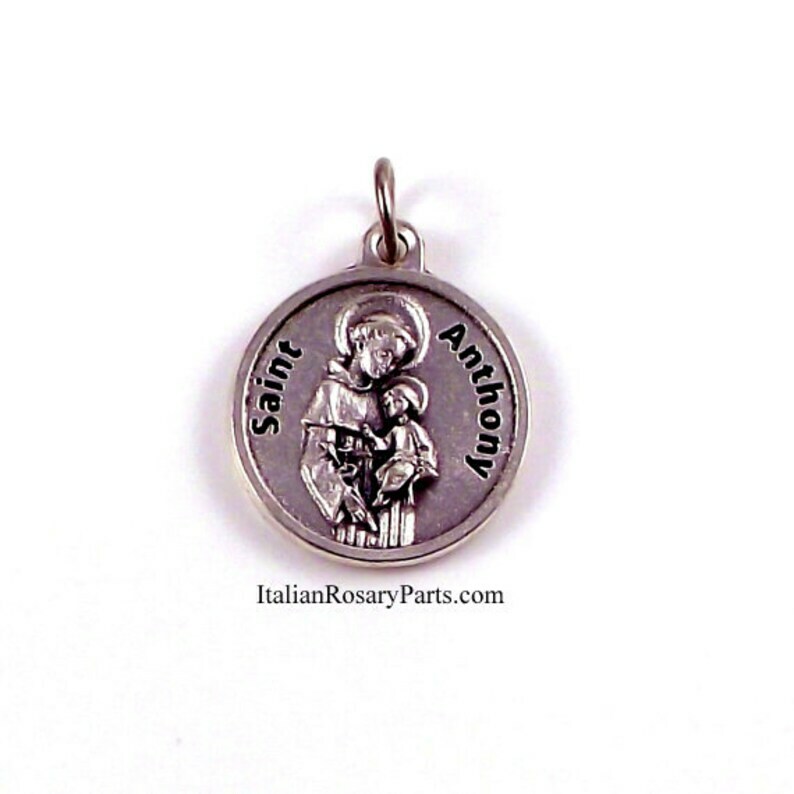 Saint Anthony of Padua, O.F.M. (born Fernando Martins de Bulhões; 1195 – 13 June 1231), also known as Anthony of Lisbon, was a Portuguese Catholic priest and friar of the Franciscan Order. St Anthony was once so fed up the the hard heartedness and heresies of the citizens of Rimi, Italy that he went to the town's riverbanks and preached to the fish instead. Patronage: Lost articles, pregnant women, barren women, the poor, sailors, amputees, Native American Indians, the elderly, fishermen and horses. This is a multiple review for all medals received. Quality merchandise. Just as described. Would recommend seller. Very thoughtful. Very nice small statue, I like the detail. Fast shipping too.